About 10 miles East of Florence, AZ off the Florence-Kelvin Highway. Nikon D810, Tamron 150-600mm lens @ 240mm, ISO 100, f/11, 1/200. 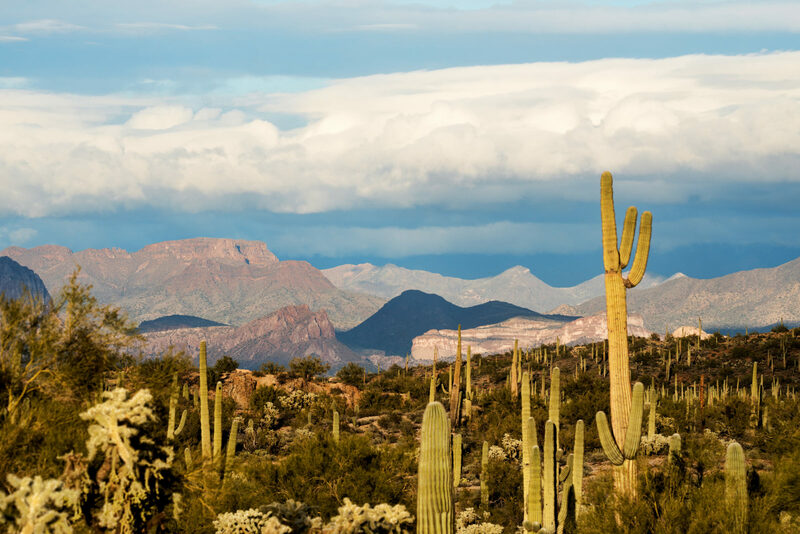 The mountains in the distance, and clouds in the sky, appear as individual layers in the Superstition Mountains in Southern Arizona.